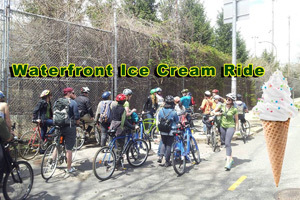 Join us for our Waterfront Ice Cream Bike Ride. Explore some beautiful parks along the East River, learn about the marine ecosystems swimming inside, and eat lots of ice cream! The ride is free and open to the public and starts at the Time's Up Brooklyn space at 99 South 6th Street, in Williamsburg, Brooklyn. 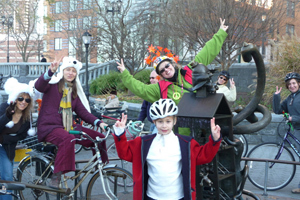 Come celebrate Earth Day on your bicycle dressed up in white as a polar bear with Time's Up! One day it is hot, the next day it is cold. Climate change is real and it's here. 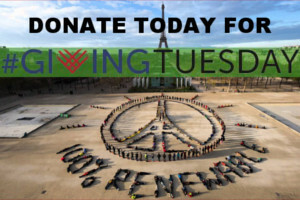 Let's save the planet and the polar bears too, ride your bike for less CO2. THIS YEAR THE BIKE RIDE IS REVERSING DIRECTION. IT IS GOING DOWNTOWN INSTEAD OF UPTOWN, ENDING UP AT AN INDOOR DANCE PARTY! OR 5:15 PM Meet in Brooklyn at 3rd St & Prospect Park West. 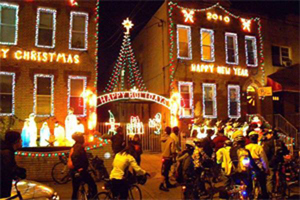 Join us for a fun and leisurely ride to see the "miracle mile" of Christmas Lights and decorations in Dyker Heights, Brooklyn. The spectacular displays draw 150,000 visitors a year who come from as far away as Japan. Meet at National Museum of the American Indian, One Bowling Green. 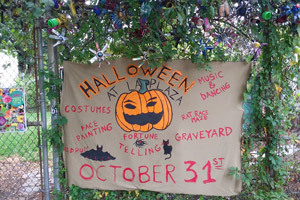 Haunted Adventure Garden and Rat Race Maze at La Plaza Community Garden, SW corner of 9th St and Ave C, NYC. Tuesday, October 31st at 5pm. For 365 days a year, rats are the stuff nightmares are made of for New Yorkers. The theme at this year's spooky Halloween adventure garden is Rats, because whether they rule or horrify, they're a part of living in NYC. 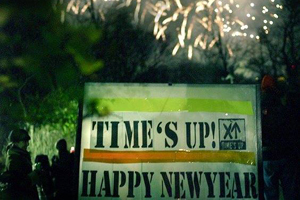 Learn how to fix your with Time's Up's bike this fall! Learn how to fix your bike this fall at Time's Up's free bike repair classes! OUTDOOR BIKE REPAIR CLASSES every Tuesday from 6:00pm-8:00pm at La Plaza Cultural Community Garden, SW corner of 9th St & Ave C. And BROOKLYN BIKE REPAIR CLASS the first & second Sunday of every month from 4:00pm-6:00pm at Time's Up's Brooklyn Space, 99 South 6th Steet. All classes are open to the public, no need to register. Join us for a leisurely bike ride out to Rockaway Beach to enjoy an endless Summer afternoon of swimming, and relaxing on the beach! Invite your friends! Meet new ones! 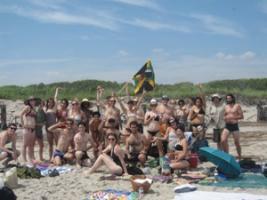 Let's have a party on the beach! Our gallery is on the streets, and we want to share it, pointing out famous and hidden spots throughout the city. We'll be covering Williamsburg and Bushwick. 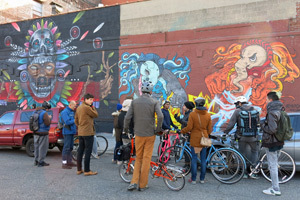 Tour includes NYC highlights, history and social implications of street art. Check out an article written this summer about the ride in a Swiss magazine.